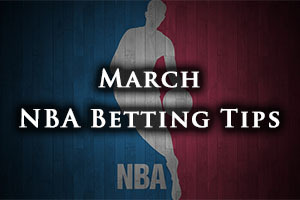 If you are looking for a great deal of NBA action this weekend, things start coming to life on Friday night and there are plenty of great games to look out for. The Timberwolves grabbed a win in New York, defeating the Knicks by a score of 92-95, in a game that turned out to be a close one. There was another close game in Phoenix with the Suns just edging out the Pelicans by a score of 74-72. The Rockets found things slightly easier at home to the Nuggets, the Houston side grabbing a 118-108 win while in Los Angeles, the Jazz grabbed an away win against the Lakers who won 73-80. While there are plenty of races and mini-competitions unfolding across the NBA at the moment, this is a race that no team really wants to be part of. The Knicks and the 76ers will face each other twice in the remainder of this campaign and they could be competing for the title of the poorest team in the NBA. The Knicks are currently the poorest team but there is not a lot in it, so it will be interesting to see how these games pan out, especially with respect to the Draft in June. The Knicks have a 14-54 record at the moment and this includes a road record of 5-30. The New York side lost their most recent game, a 92-95 home loss to the Timberwolves and they have a 2-8 record in their last 10 outings. The 76ers have a 16-52 record heading into this game and this includes a home record of 11-24. The 76ers won their most recent game, defeating the Pistons by a score of 94-83 and they hold a 3-7 record in their last 10 games. For average points scored, the Knicks have the edge, 92.4 to 91.0 and for average points allowed, the 76ers have an advantage, 100.6 to 101.2. Jose Calderon is likely to be missing for the Knicks while Cleanthony Early is a slight doubt. For Philly, Tony Wroten is a major doubt while Luc Richard Mbah a Moute and Nerlens Noel are being monitored closely. Taking the 76ers with a -5.5 handicap, at odds of 1.90, is likely to be a decent bet for this game. Bet Now! The Raptors had a sticky patch where they were playing poor defensively but they turned it around, although they may be dealing into this one without Kyle Lowry. The Raptors endured a 1-9 run but have now won 3 out of 4 games and DeMar DeRozan showed the best and worst of his game in the 105-100 win over Minnesota which took place on Wednesday night. Both teams have 41 wins to their name this season so this is a crucial game for both of the teams. The Raptors hold a 41-27 record, which includes a road record of 18-15. They have won two games in a row and this includes a 4-6 record in their last 10 games. The Bulls have a 41-28 record which contains a 21-14 record and they won their most recent game, defeating the Pacers in Chicago on Wednesday night by a score of 103-86. The Bulls also hold a 4-6 record in their last 10 games. For average points scored, the Raptors have an advantage, 104.5 to 100.8 and for average points allowed, the Bulls are ahead 98.8 to 101.3. The Raptors are monitoring Kyle Lowry, Terrence Ross and Tyler Hansborough while the Bulls look as though they could be without Derrick Rose, Taj Gibson and Jimmy Butler. Taking the Raptors with a +1.5 handicap, at odds of 1.90, is an interesting bet for Friday. Bet Now! The Grizzlies have dropped some disappointing results of late, losing to teams that they should have taken care of easily, and this has heaped pressure on the side ahead of some major clashes. The clash with the Mavericks is a massive game and the Dallas side are closing in on the Grizzlies lead in the South-west. With the Grizzlies knowing that they welcome the Trail Blazers on Saturday, they have a tough and tight schedule and they really need to grind out some wins to retain their strong position. Memphis holds a 47-21 record and this includes a 21-14 record on the road. They lost their most recent game, in Tuesday in Detroit with the Pistons winning by a score of 105-95. The Grizzlies hold a 5-5 record in their last 10 games. The Mavericks also hold a 5-5 record in their last 10 games but have won three in a row, with their last win being a Wednesday night win at home to the Magic, triumphing by a score of 107-102. The Mavericks hold a 44-25 record which includes a 24-11 record at home. For average points scored, the Mavericks have an advantage of 104.9 to 98.8 and for average points allowed, the Grizzlies lead by 95.4 to 101.0. Mike Conley and Jon Leur are tipped to be absent for Memphis while the Mavericks have slight concerns over Devin Harris and JJ Barea while Al-Farouq Aminu is tipped to be absent. Taking the Mavericks at -3.5, at odds of 1.90, is a strong bet for Friday. Bet Now!